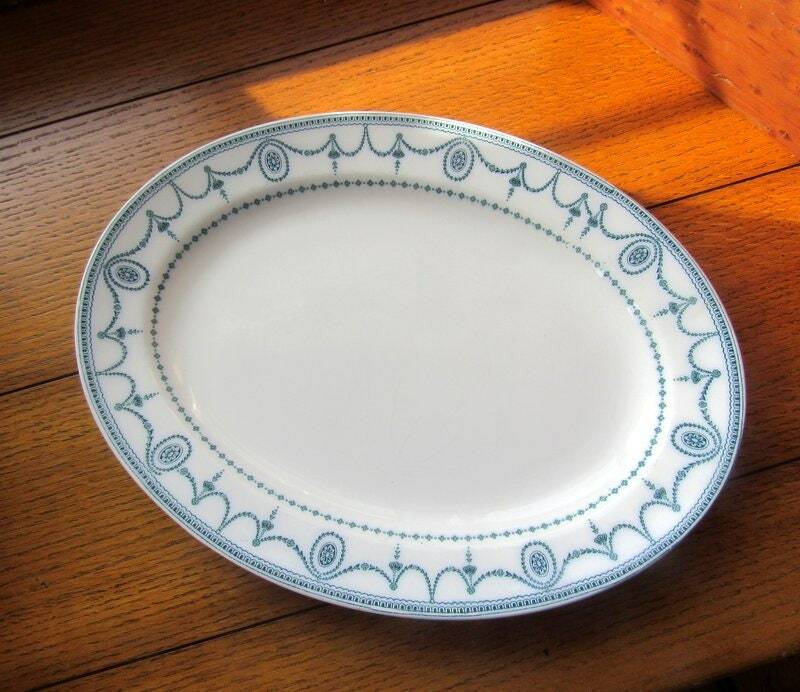 Lovely old 12-inch platter in the Johnson Bros Blue Sultana pattern. 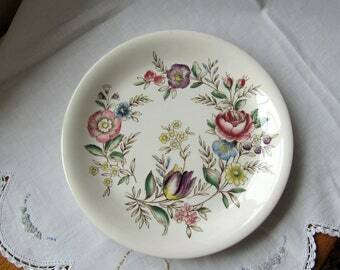 This platter is in very good vintage condition. I find no chips or cracks and very little crazing. You can see some crazing in the center front and also some scratch marks, but considering its age, these are not bad, The back has some dark marks or old age marks some call them. 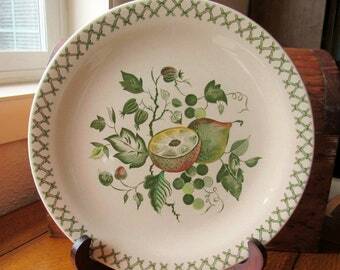 This platter has a nice well to catch the juices. 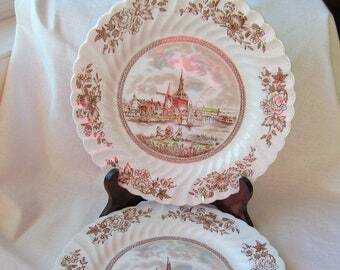 I like the smaller platters at holiday time for the extra cuts of meat and/or for small dinner parties. This platter would mix and match well with other blue china patterns.